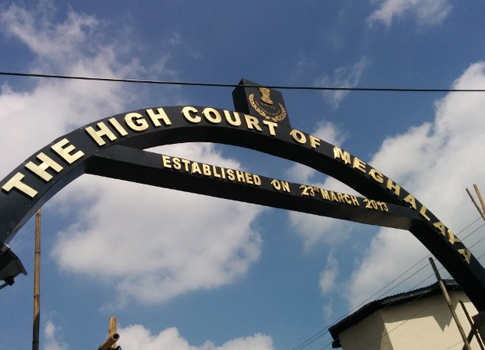 The legal system of Meghalaya got a new lease of life with the inauguration of two permanent new court buildings of the District and Sessions Courts at Tura and Williamnagar. Both the courts were inaugurated by Meghalaya Chief Justice (acting) Sudip Ranjan Sen on Saturday. Inaugurating the two court complexes, Justice Sen expressed his happiness that the long cherished dream of the people of the district to have a separate court have finally been realized and would soon materialize once the infrastructure is fully completed. The Chief Justice encouraged the police, the prosecution and the court to work together so as to provide significant justice to the people. He expressed concern that many a times criminals are able to get away taking advantage of the legal system and that the time had come to apply the law with a fist of steel. The acting chief justice also expressed resentment over the slow progress of work for construction of the court complex in Tura by the State PWD Department. Chief Justice S R Sen was accompanied by Meghalaya Government’s Law Secretary W Khyllep, Registrar General of the High Court of Meghalaya, B Mawrie, PWD chief engineer F Marbaniang, district officials and members of the bar association during the inaugurations.